Clover and Ruby were adopted by fire stations in Florida. Two fire stations in Florida have some unusual new recruits. These aren’t typical firefighters who haul heavy equipment to the scene of a dangerous blaze. Clover and Ruby are dogs who have survived fires, and are helping fire stations educate the public about fire safety and advocate for burn victims. (Adam Goldberg/AGoldPhoto) Clover is pictured wearing service gear. Clover is serving at Madeira Beach Fire Station #25 while Ruby was recently inducted as a member of Palm Harbor Fire Rescue Station #65. 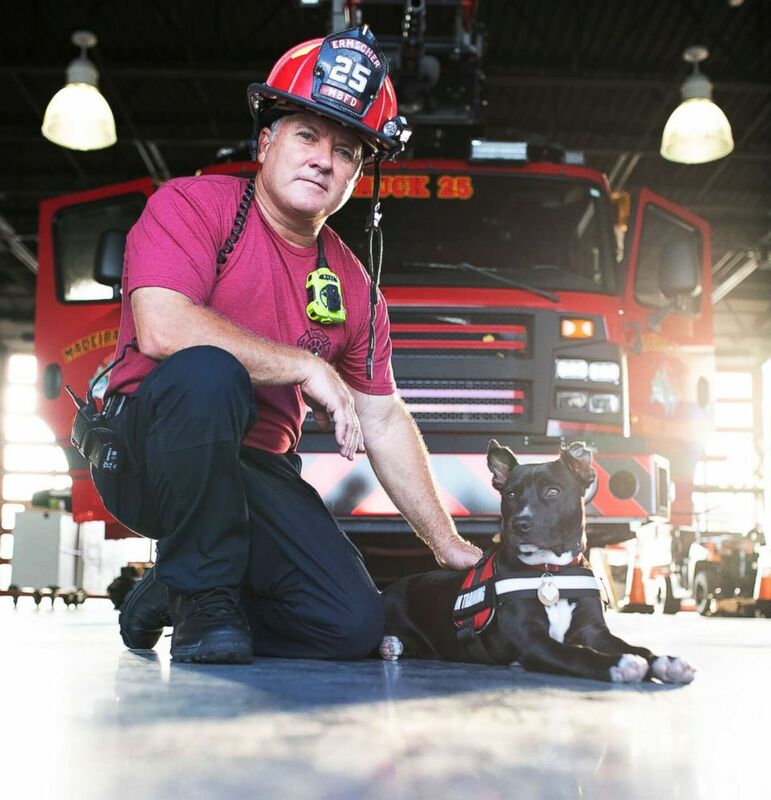 (Adam Goldberg/AGoldPhoto) Ruby is pictured at Palm Harbor Fire Rescue Station in Palm Harbor, Fla.
(Adam Goldberg/AGoldPhoto) Clover is pictured at Madeira Beach Fire Station in Madeira Beach, Fla. 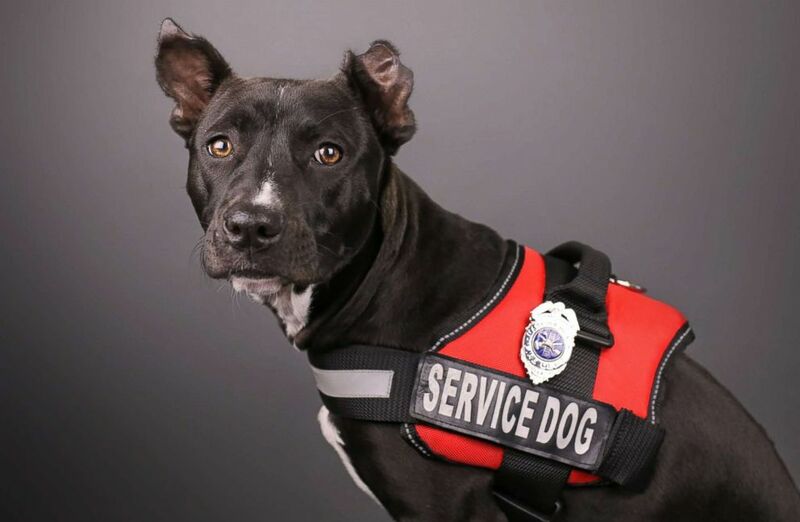 Although both pups are happy in their new roles and look dashing in their service gear, they both have a painful past -- they narrowly survived fires that left them scarred. Clover, her mother and litter mates were trapped in a shed fire in Alabama. Clover suffered significant burn wounds when piece of wood fell on top of her. She was treated at a local rescue and later transported to Suncoast Animal League in Florida for possible adoption. (Courtesy of Karey Burek) Ruby's scars are visible in this undated photo. 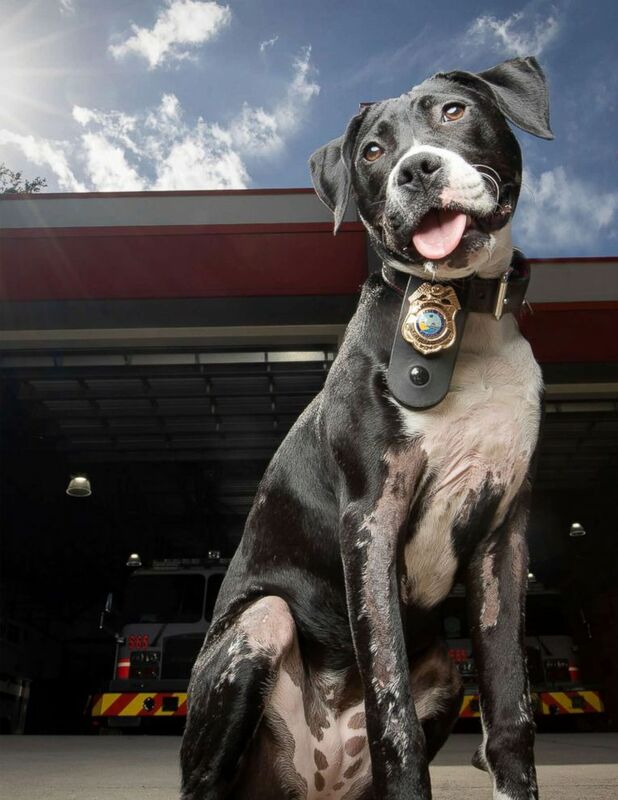 Madeira Beach Fire Station, which had actively been searching for a station dog, was delighted when they saw Clover’s adoption appeal on Facebook, and took her in. 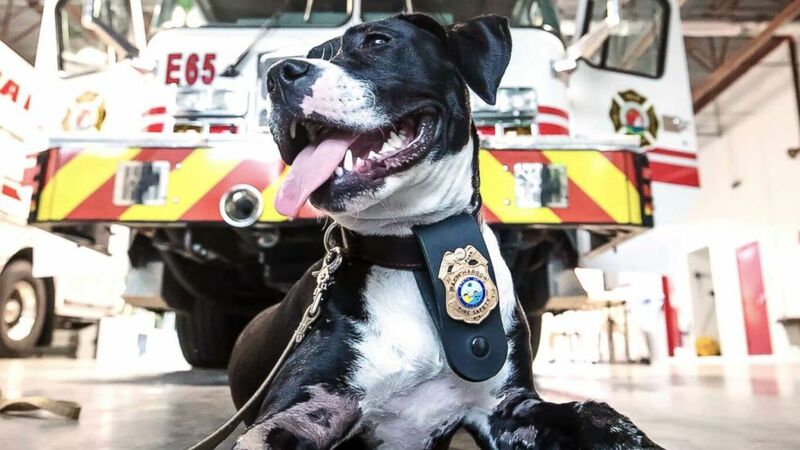 Meanwhile, Palm Harbor Fire Rescue Station, which was also in search for a station dog, contacted the animal shelter to express interest in a burn survivor dog like Clover. As chance would have it, the shelter had recently placed Ruby in foster care following her transfer from Georgia where she had been in a fire that claimed her owner’s life. 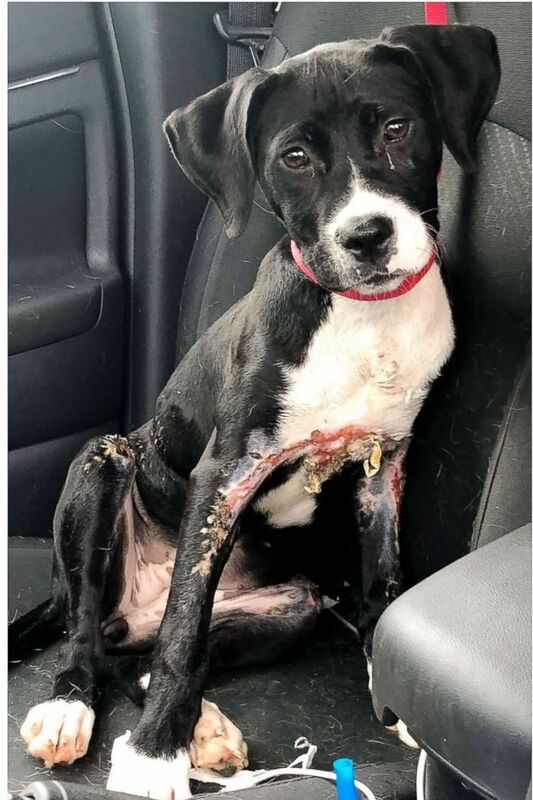 Ruby ran through the fire to escape and suffered third degree burns on her chest and legs. 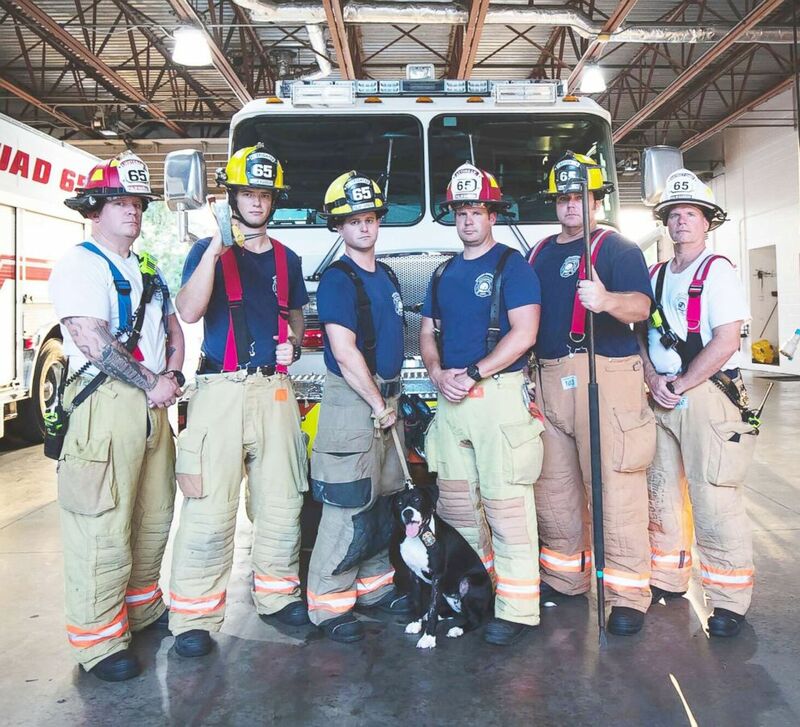 (Adam Goldberg/AGoldPhoto) Clover is pictured with fire fighters at Madeira Beach Fire Station in Madeira Beach, Fla.
(Adam Goldberg/AGoldPhoto) Ruby is a burn survivor. Now both dogs are settled in their new roles. 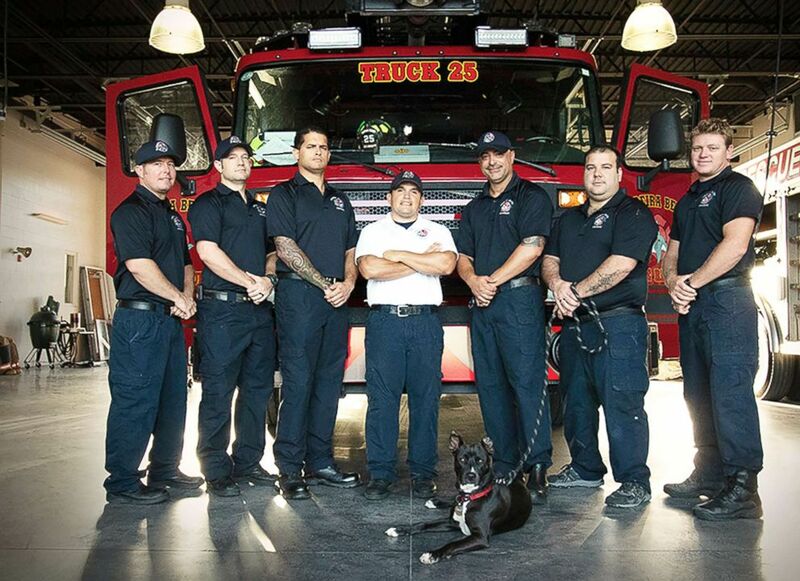 (Adam Goldberg/AGoldPhoto) Ruby is pictured with members of Palm Harbor Fire Rescue Station in Palm Harbor, Fla.
Graham recommends other fire stations adopt dogs like Clover and Ruby as they are also great companions for the firefighters.